Detective James Wong is hired by Captain Street to help find the killer of Dan O’Grady. Mr. Wong does find the killer along with a large smuggling operation, but not until more people needlessly die. I do love these movies, but I also have to wonder how detective Wong gets such a great reputation. Usually the person who hires him dies (who ends up paying him?) 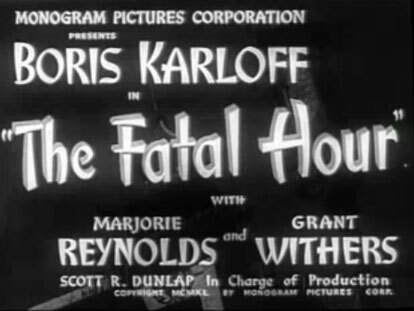 within the first 20 minutes of the movie, and several people always die before he solves the mystery. What’s the deal?